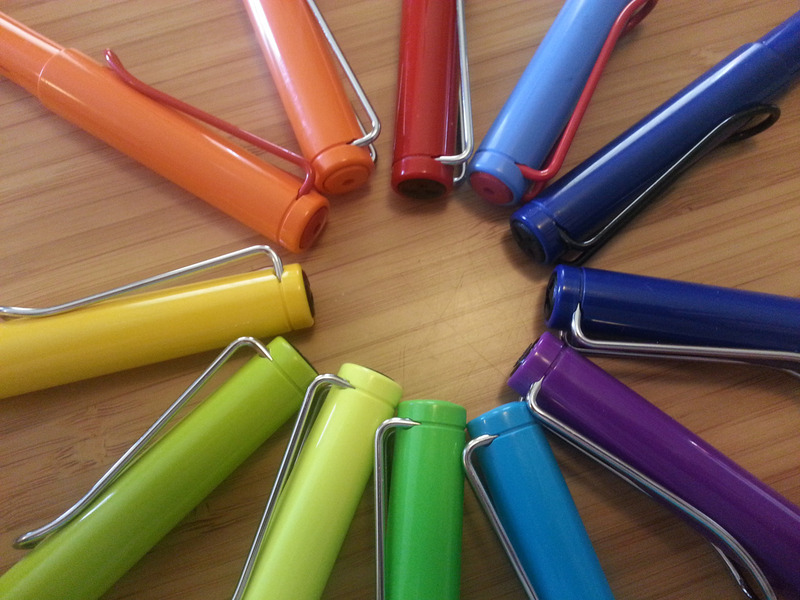 Come on Lamy, we need purple! 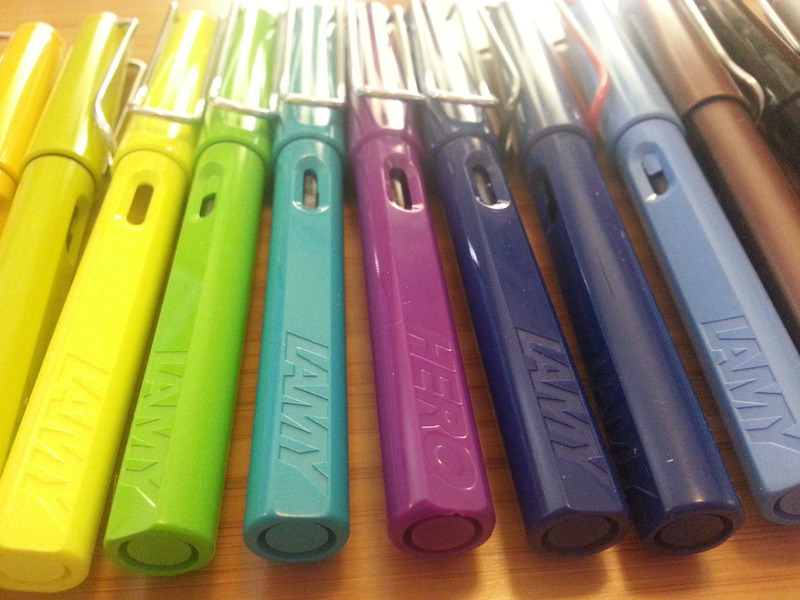 Recently bought the Hero clone of the Lamy Safari, aka, the “Fauxfari” (credit goes to somebody online I can’t remember haha), and it’s okay. 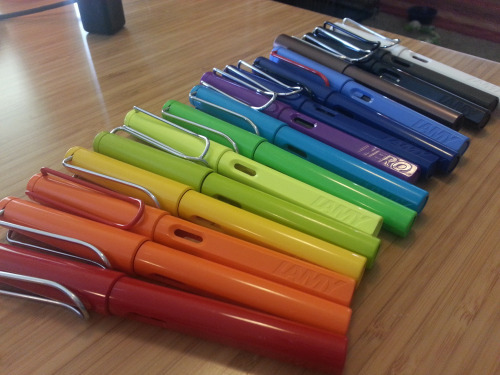 It was affordable, writes very smoothly, but is a noticeably different quality from the regular Lamy line. When taking a picture of the whole collection, it really highlights why a purple color is needed! Come on Lamy, what gives? 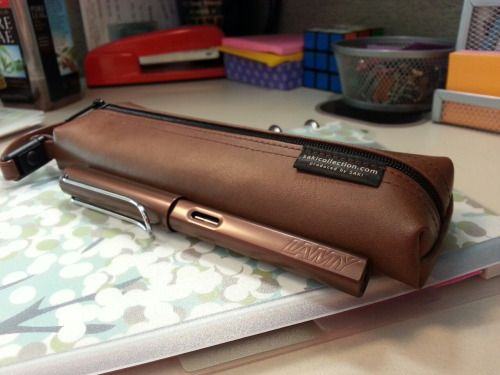 I love how my coffee-colored Lamy Al-Star matches this awesome pen case from JetPens. I love this pen case! It’s perfectly purse-sized. 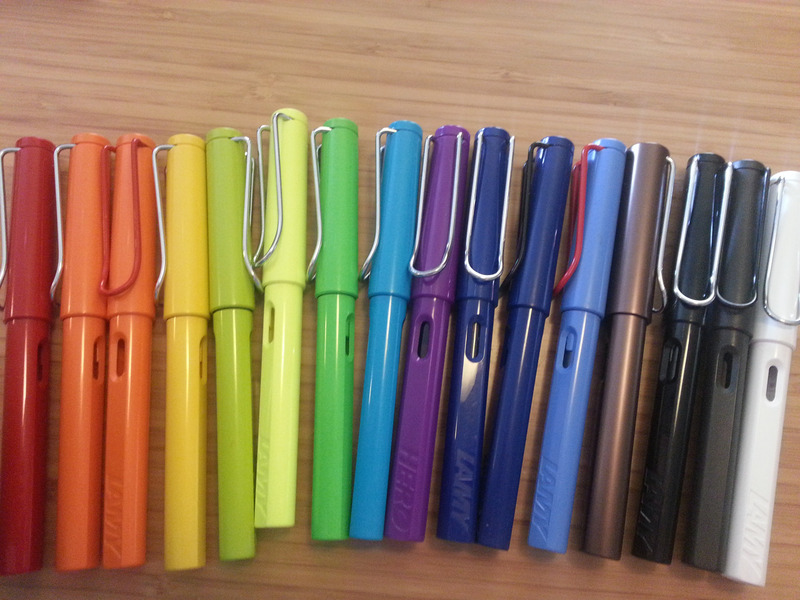 As for the Lamy color, I really love this pen too! In the right light it does look like a coppery brown. Not as much as I’d like, cause a true copper metallic Al-Star would be Awesome. This is a light coppery mid-brown.